Varg Vikernes talks to the world mostly through email interviews now. Last year, we tried to ask him your questions and was ignored/rejected for whatever reason. This time, he replied to my questions. The interview instructions prohibited questions about family, prison, or politics, as his interviews for previous album Belus covered those topics thoroughly. 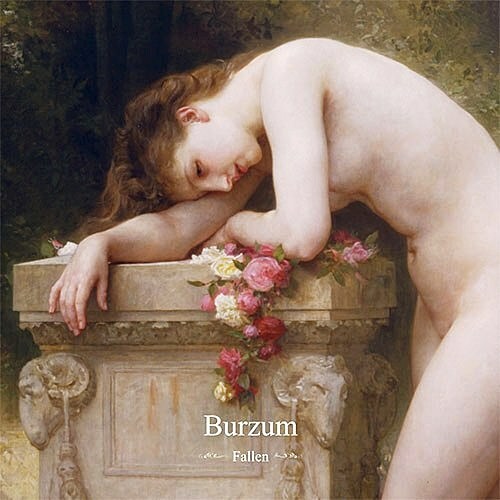 Burzum’s new album Fallen is out now on MP3 . In North America, it comes out March 15 on vinyl and April 5 on CD. A good starting point for this interview is Fallen‘s press release, which Vikernes wrote himself. What did you wish to accomplish with Fallen? Make an album I could listen to without growing tired of it. Judging from the English translations of your lyrics, death is a dominant theme in Fallen. Does mortality weigh on your mind now? No, not at all, and I may add that the death you see on Fallen is also a rebirth – an eternal cycle. There is no definite beginning and end in the European world view, as is the case with Judeo-Christianity (Eden and Judgment Day), and death is not as much a taboo, either. You said that you mastered the album “as if it was classical music”. What did that involve? It means that the sound is more dynamic, and less suited for play on the radio. It means that the dynamic sound in Burzum is as much a part of the music as the melodies themselves. In your gear list for Fallen, you noted the years of your amp and drum kit. What significance does vintage gear have for you? None whatsoever; I just made this list to make sure I will not receive hundreds of e-mails from musicians who want to know what equipment I used on the recording like I did when we released Belus. “The Message” is a call to war invoking “the gods of the past”. Who is the enemy in the song? The parasitical low-lives leeching on mankind and turning our species into slaves and sub-human scum. When not listening to unfinished Burzum music, I mostly listen to The Cure. Especially their Disintegration album. Fantastic music! Well, interview questions mostly… I am very busy promoting the Fallen album. I also find the time to proofread my own Sorcery and Religion in Ancient Scandinavia, which I try to find a publisher for these days. On Belus, the Burzum logo changed from its classic font. On Fallen, “Burzum” has no real logo, only text in typeface. What was the purpose behind these changes? Burzum never had a logo, only a Gothic font, then some other font, and this time I simply used Times New Roman. The purpose behind changing the font was to stress that Burzum has no logo, and that you should all focus on the music, and not logos. The cover of a book does not matter; the contents does. What lies ahead for Burzum? When done promoting Fallen, I will start making a new album, and possibly start working with a compilation that will be made up of re-recorded tracks from Hvis Lyset tar oss and Filosofem (and possibly Aske). We have another release next September, a compilation called From the Depths of Darkness, made up of re-recorded tracks from the debut album and Det som engang var, so I might need some time to promote that one as well. Well, that’s all the plans for now. What comes after this, only time can tell. After your time on earth, how do you wish to be remembered? So, I’ll probably never leave this Earth; only die, become a part of the soil, water, and air on this planet, and possibly plants and animals as well, or even humans. If they still exist, that is, after being such a pain in the behind for Mother Earth for so long. She might have rid herself of all of us by then.